In a new post Emma Neale wonders if poetry reviews are ever obsolete. It’s a good question. She then posts reviews of two fabulous books. Print media is in such strife these days poetry reviews have almost become an endangered species (which is partly why I started Poetry Shelf). Some newspapers such as The ODT and the Nelson Mail show a strong commitment to poetry and I still manage to get two or three published in The Herald. Landfall-on-line is another source, as is the NZ Listener. So perhaps we have to invent, cultivate and nourish new ways to talk and write about poetry (in new places). 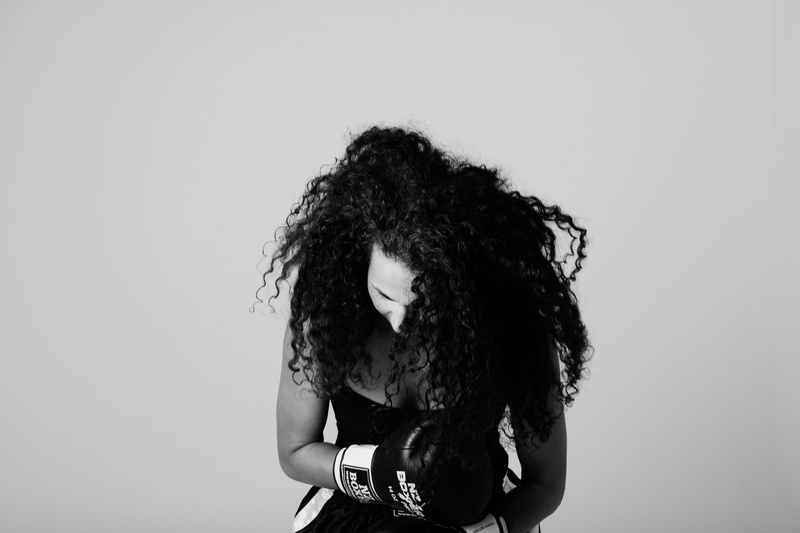 A blog like this is only ever going to hook the attention of our small enclave of poetry fans. A newspaper review might capture the attention of someone quite different (it happens!) 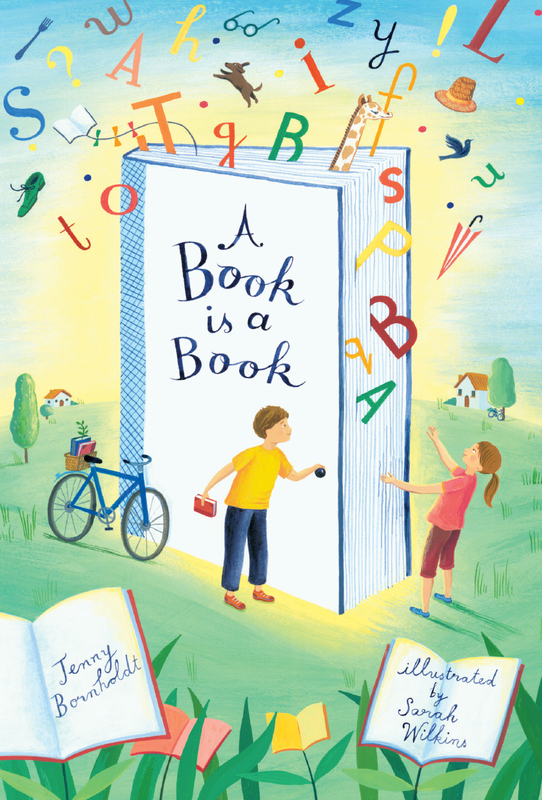 and give a book a new readership. This entry was posted in Uncategorized on November 27, 2013 by Paula Green. 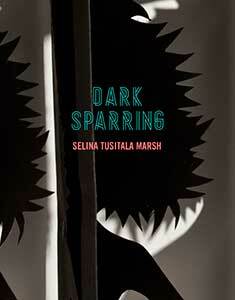 Thanks to Auckland University Press, NZ Book Girl won the random draw to receive a copy of Selina Tustala Marsh’s Dark Sparring (2013). This entry was posted in Uncategorized on November 18, 2013 by Paula Green. 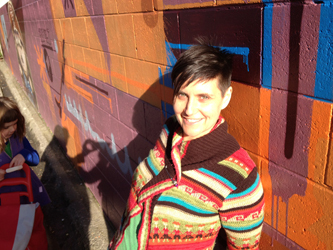 Congratulations to Siobhan Harvey who is the winner of the 2013 Kathleen Grattan Award for Poetry. She was one of ninety entries. This year’s judge was Christchurch-based poet, Jeffrey Paparoa Holman. Siobhan receives $16,000. Here is the Radio NZ piece from Arts on Sunday. This entry was posted in Poetry, Poetry Awards on November 18, 2013 by Paula Green. Poetry Shelf is not adverse to looking sideways and finding poetry in unexpected things: a building, an experience, a novel. 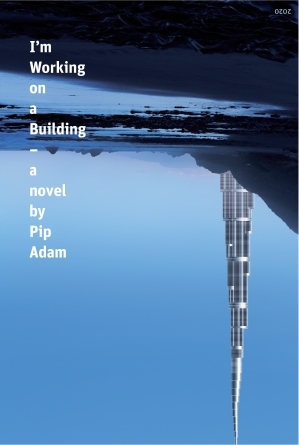 Thus, I want to talk about reading Pip Adam’s new novel, I’m Working on a Building (Victoria University Press, 2013. Within the first few sentences I was transported momentarily to Italo Calvino’s Invisible Cities. This is a book where Marco Polo diverts Kublai Khan by describing the numerous wondrous cities to him (as though they are the cities of his exotic travels). What makes these extraordinary cities even more so is the fact that they are versions of the same place. Each story is a story of Venice, reinforcing the notion that place is in the eye of a beholder, and even then, place is on the move. Pip has not recast Italo’s fictional flower bud (each city an overlapping petal) within her own context and structure, but her novel has absorbed a ‘Calvino’ sensibility. Pip’s novel is a novel of flux, not just in the shifting, fracturing, and at times smashed cityscapes, but also in the shifting, fracturing and smashed relations. As Italo did on so many occasions, Pip has shifted and cracked the very act of reading. The novel commences at the story’s end and then makes its way in episodic leaps to the story’s beginning. In Pip’s narrative structure, I fell upon a poetry of reading. The rhythm of story shifted in its inversion so that it became unsettling, dizzying. It was a bit like following water down a plug hole from full bath to empty bath. Yet while such an analogy might describe the initial reading experience (I always find the movement of water a little disconcerting), it does not fit the whole. The rhythm of the reading altered the revelation of character and thus the emotional, psychological and narrative effects. Usually (and we do seem so literary-model dependent), a narrative produces an accumulation of detail and revelation that develops character, setting, themes and cultural contexts across a narrative arc. So if we proceed in the opposite direction, will that also produce character development (along with all else)? Or is it a denuding; a striping back to an early version of protagonist? Is it flower-bud fiction, where we get to see various versions of a protagonist and his or her sidekicks reflecting and refracting ( a bit like life, really)? What I loved about this Calvinoesque reading experience was the way it imitated the way we get to know people (even our parents, especially our parents); the way we move back in time as they reveal different versions of themselves (our parents slowly reveal the versions that existed before us). Each revelation smudges and shifts the one before and then the one after. I have used the word ‘poetry’ to signal the delight I took in this reading experience, but I could also have used the word ‘architecture’ or even ‘engineering’. Buildings, as the title suggests, play a big role in the book. Evocative buildings such as the Pompidou Centre in Paris or Dubai’s Burj or a building about to collapse in an earthquake in Wellington. Both architecture and engineering resonate in the light of the building of self; self as edifice with foundations, fortifications and points of vulnerability. Yet the building and the act of building are also to be enjoyed outside the enriching life of the trope. Pip’s novel explores how a life is built, but also how buildings come into being and are part of the lifeblood of cities. Thus the architecture of this novel (and therefore the reading of this novel) is one of complexity. This novel is not an empty city, but like the overlapping versions of Italo’s Venice, it both confounds you and astounds you. There is poetry in its reading. This entry was posted in Poetry and tagged NZ author, NZ Book Review, Pip Adams on November 11, 2013 by Paula Green.